Congratulations on your Christian engagement! As you prepare for this celebration and lifetime commitment, the parish will assist you in your preparation. We maintain high standards in our sacramental preparation and worship life at Holy Family. A sincere respect and reverence for the traditions and rites of the Roman Catholic Church is expected of all involved. Please read the parish guidelines on below, and feel free to bring any questions or comments you have to the parish staff. 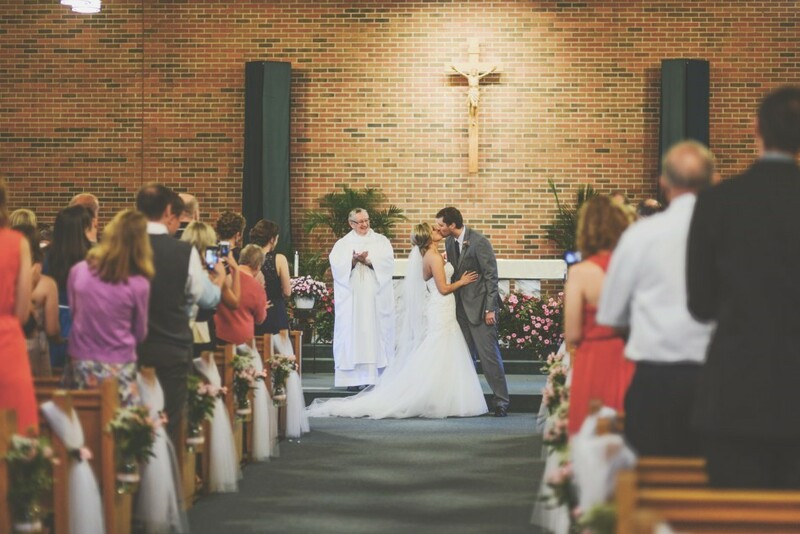 Arrangements for weddings must be made with the church at least six months in advance of the wedding date. The couple must be active and registered at a Catholic church. The couple must meet with Msgr. Terry for marriage preparation and also participate a Pre-Cana Workshop or work with a Marriage Mentor Couple from the parish.